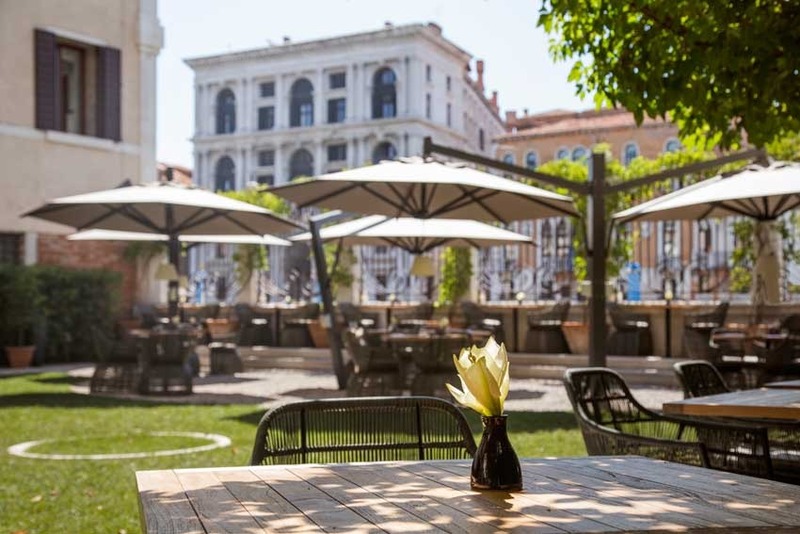 In the heart of Venice, near Rialto nestled in the old quarter of San Polo, this wonderful luxury hotel directly facing the Grand Canal offers the perfect setting for your Wedding celebration. 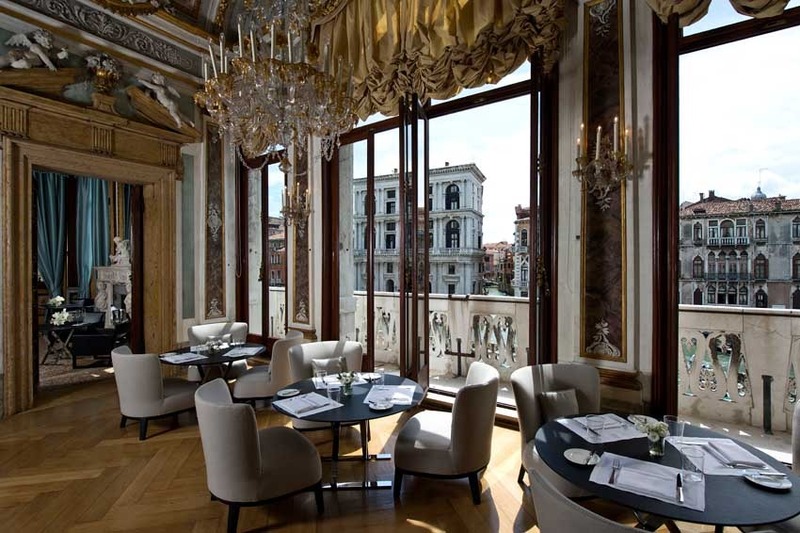 In Venice the distance is either by foot or boat – and the Aman is situated halfway between the train station and Saint Mark’s square that can both be reached with a walk of about 15 minutes. 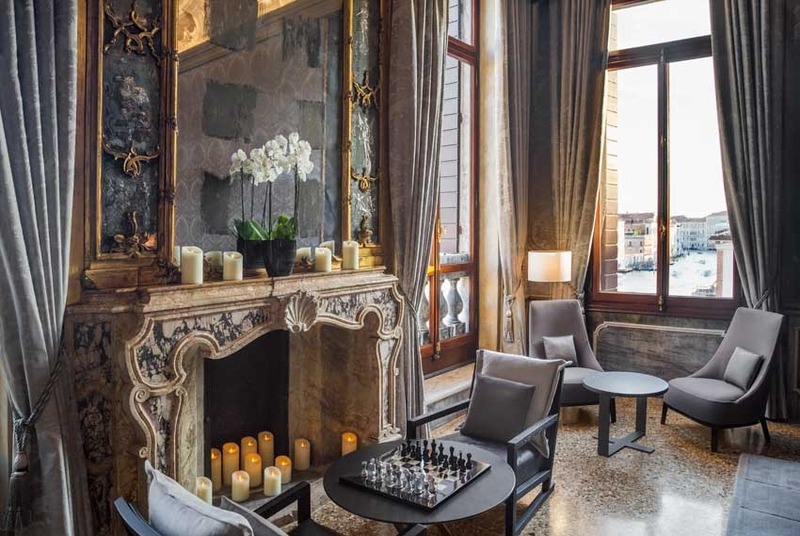 One of the most exclusive hotels in Venice situated in a 16th Century Venetian Palazzo with frescoed ceilings, Murano glass chandeliers, stucco ornaments and impressive mirrors, silk coverings and obviously incredible views of the Grand Canal. 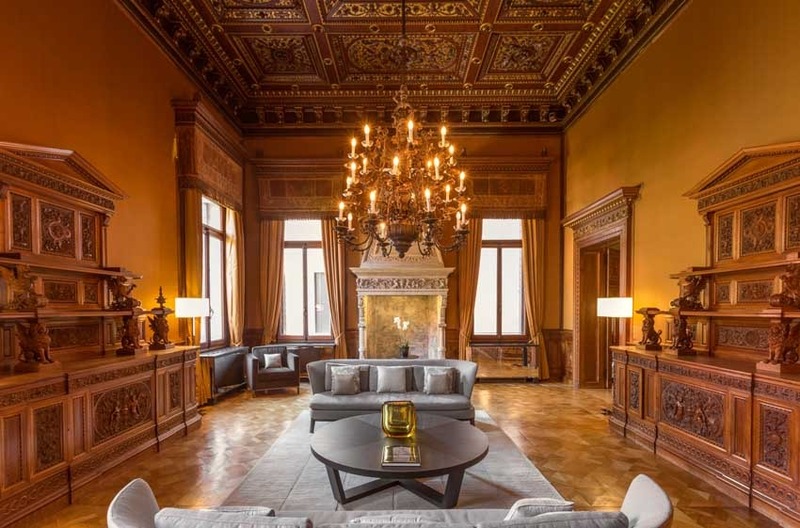 In this Venetian Palazzo there are 2 noble floors, once also called grand floors that the family used for entertaining the venetian jet set in large and smaller rooms suitable for private parties with a Neo-Renaissance and Rococo style. 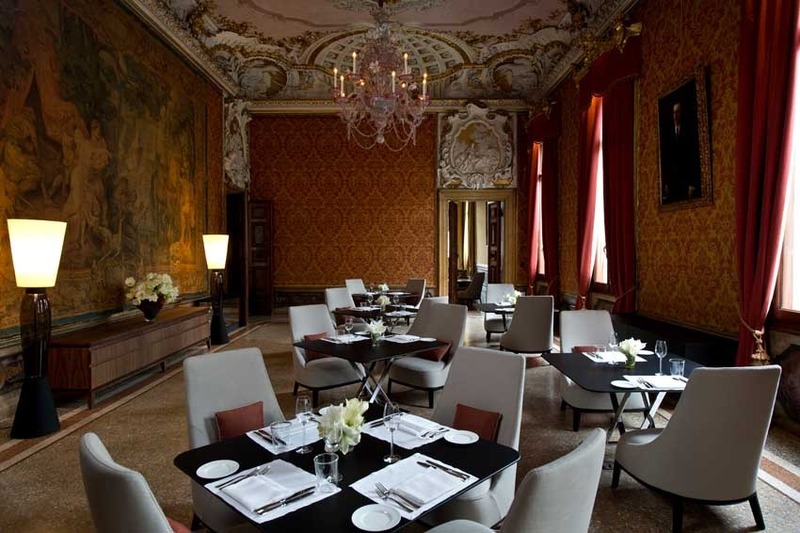 The first piano nobile floor hosts the elegant Ballroom and 3 additional smaller rooms uniquely decorated. 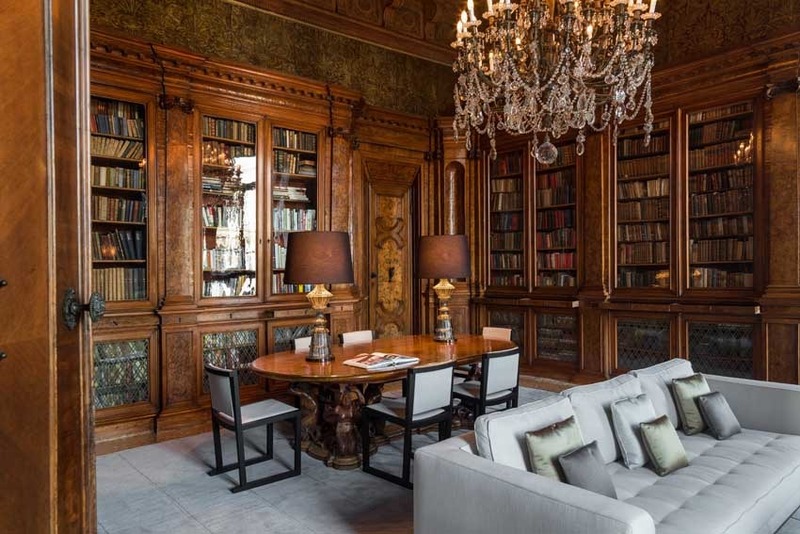 The masterpiece of the second piano nobile is the Salon featuring also a grand piano and wonderful views across Venice, 5 additional smaller rooms can be the perfect setting for smaller events. 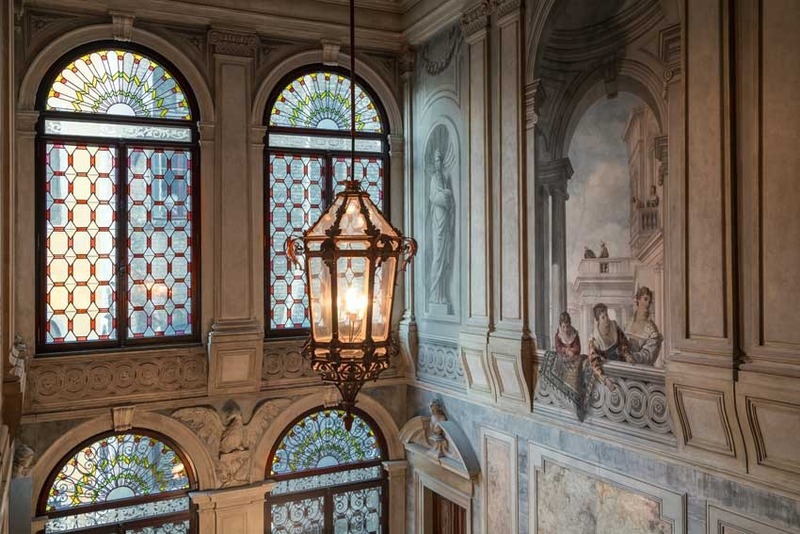 A peculiarity of the palace and a real treat for Venice are its gardens. 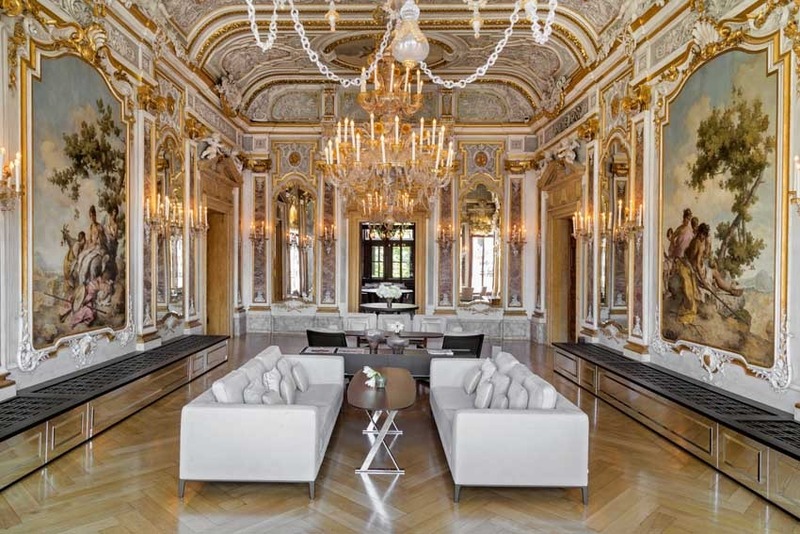 The Palace has two gardens, one facing the Grand Canal (one of the very few in Venice) and the second one that opens on the San Polo neighborhood. 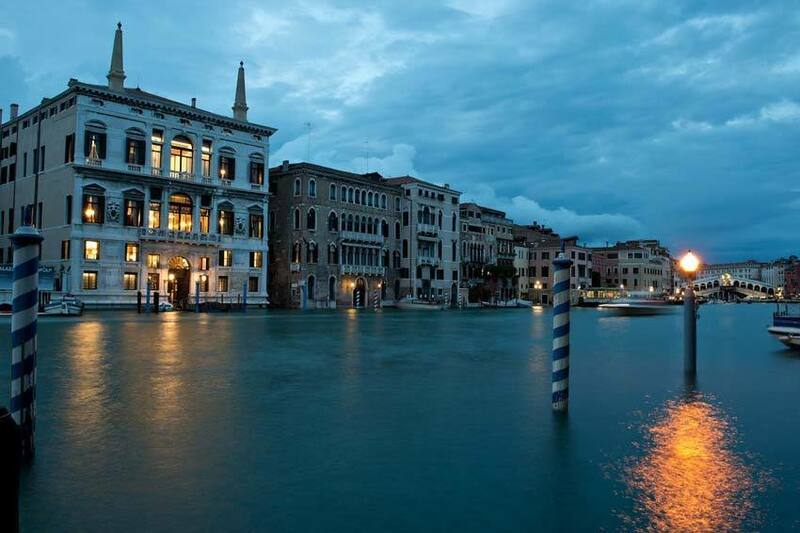 Romantic symbolic, protestant and Jewish wedding ceremonies overlooking the Grand Canal could be hosted inside or outside. 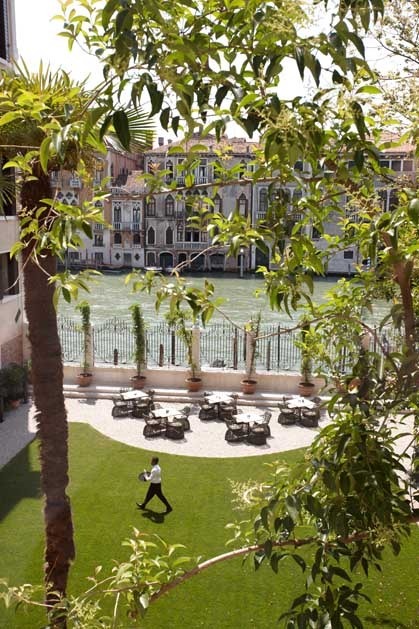 The Canal Garden offers a perfect Venetian backdrop with the beautiful Palazzos of the Grand Canal surrounding it. 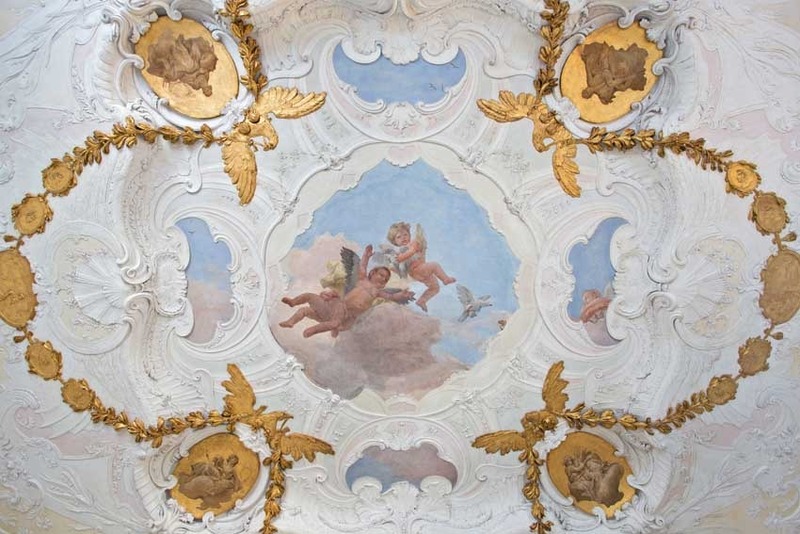 The Ballroom could be a perfect choice if you have a group with up to 100 people with its golden stuccos, large windows and twinkling with chandeliers or for smaller weddings the Palazzo's former Chapel for groups of up to about 30 guests. 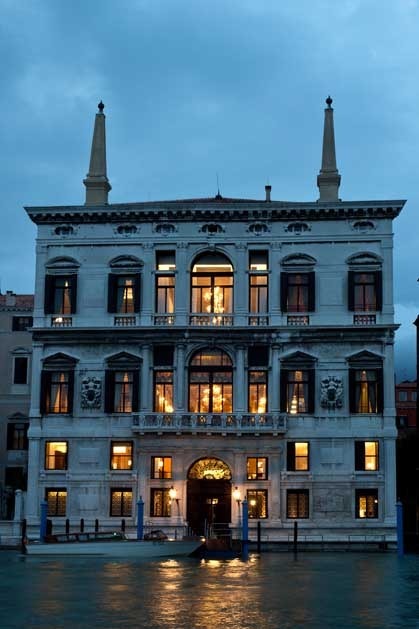 If you opt for a Civil wedding ceremony the Palazzo Cavalli, the official Venice Town Hall, is directly across the Grand Canal. For a Catholic ceremony, there are many beautiful Churches you can take into consideration. Several areas are available for small and larger private wedding banquets to suit your requirements, we recommend this Hotel for groups from 8 to 100 people with a combination of rooms used. The Ballroom can host seated wedding receptions for up to 50 people while using the surrounding rooms can be the perfect setting for a reception with up to 100 people. According to the number of people you expect to have and your desire for privacy the hotel can be either booked with or without the exclusive use of the spaces and areas. 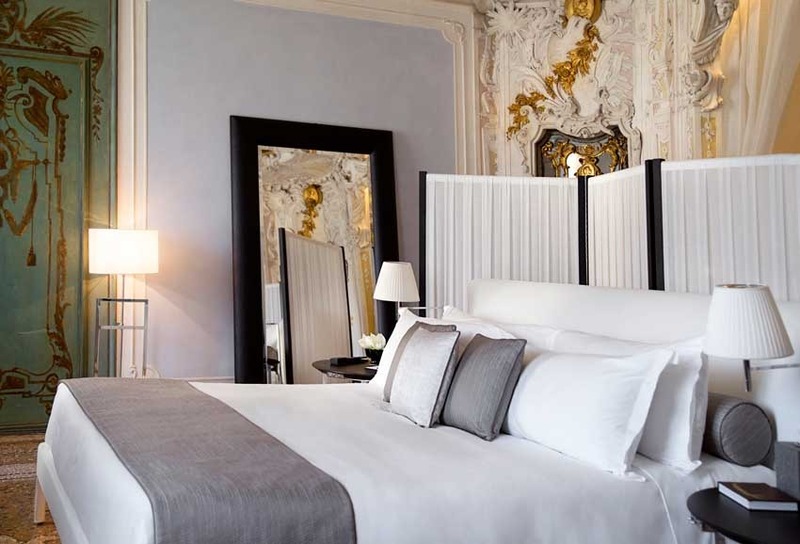 For a complete buy out of the Hotel the property requests a minimum stay of 3 nights. 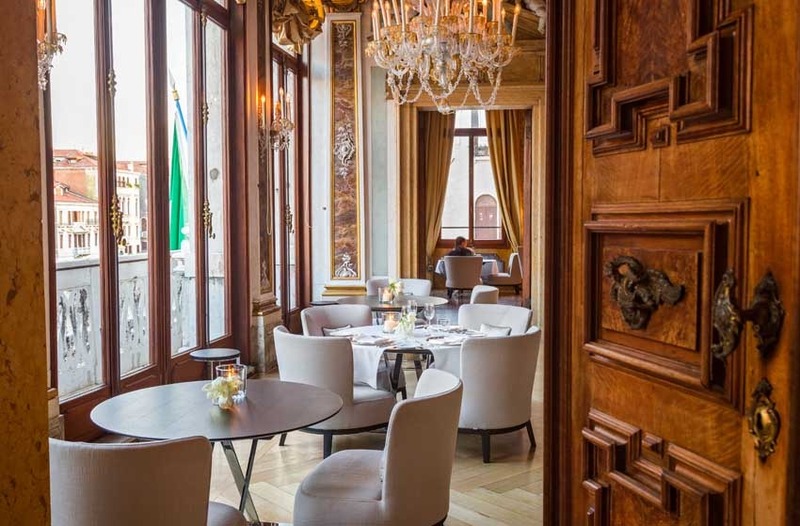 The Chef will be happy to create the perfect menu for your event and to select dishes from the regional tradition revisited in a most modern and elegant key with fresh ingredients that will match the season of your event, they suggest a 7 course tasting menu to have a complete experience. Wines will be paired by the sommelier once the Menu is complete. It is also possible to select your wines and to bring them in from the outside – corkage fee will apply. Amplified Music and dancing are allowed only with a complete buy out of the Palazzo and only in the Hall that can become a wonderful nightclub. Classical music and live performances are welcome. 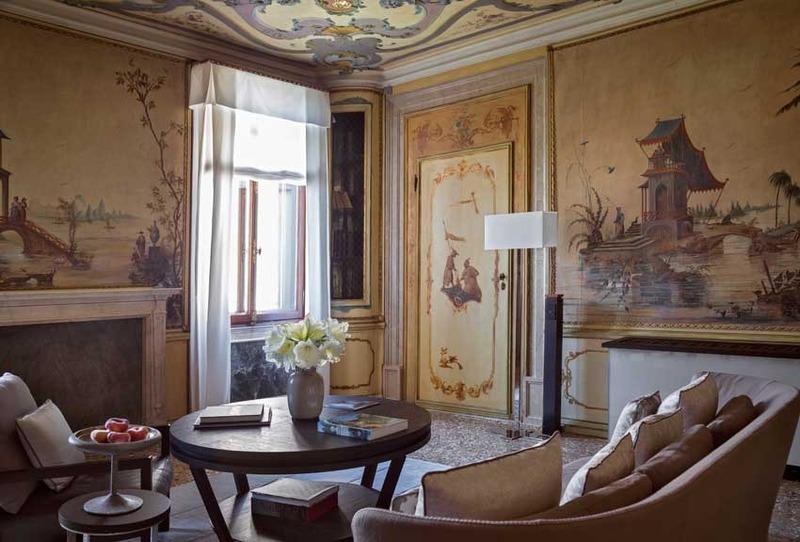 A total of 24 rooms of different categories are available at the Hotel – among these 5 are Signature Suites with original paintings and frescoes - uniquely furnished with period furniture paired with modern comforts and touches.